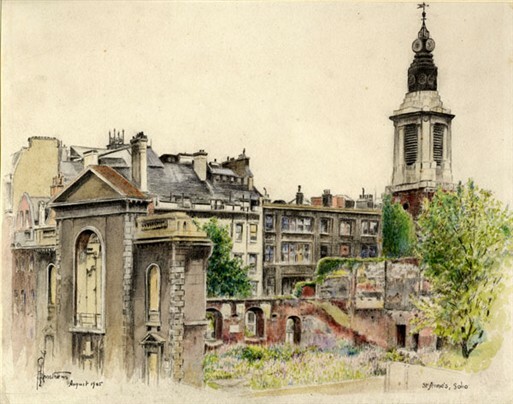 The church of St Anne , Soho was built between 1677 and 1686 according to the designs of either Sir Christopher Wren or William Talman. A tower was subsequently added in 1717 and was rebuilt by S P Cockerell in 1803. 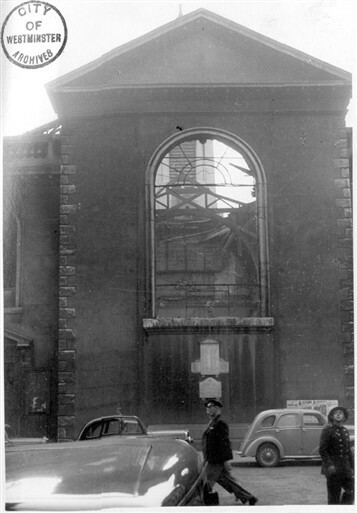 In 1940 the church was severely damaged in an air raid, but the tower survived. 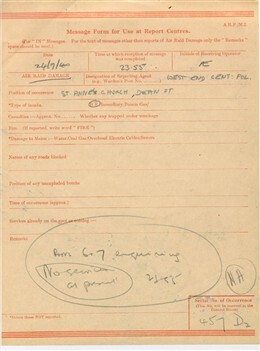 In 1976 an appeal was launched by the Poet Laureate, Sir John Betjeman, to restore the tower. 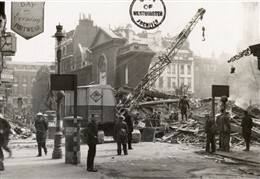 Today it houses the Museum of Soho . Amongst the thousands of Soho residents who were buried in the burial ground (now the church gardens) were Theodore, the dethroned King of Corsica (1694-1756) and the author William Hazlitt (1778-1830). A plaque commemorates the famous writer of detective stories Dorothy L Sayers (1893-1957), who was a churchwarden and whose ashes are buried beneath the tower.